Today is World Mental Health Day. 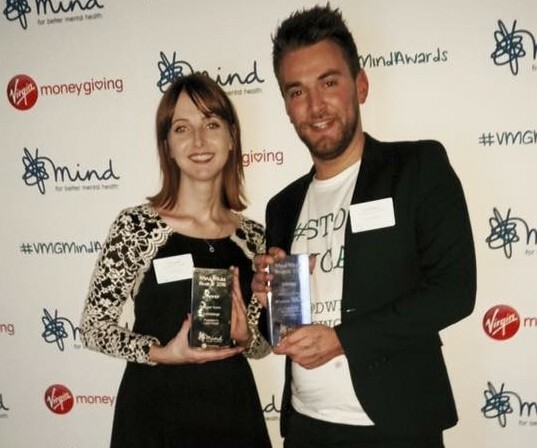 We thought it would be a good time to remind you that last year, Coventry psychology graduate Laura Nuttall won a blogging award – with a difference. The award was given by mental health charity MIND, and was presented to Laura for her brave vlogging account of her own mental health struggles. 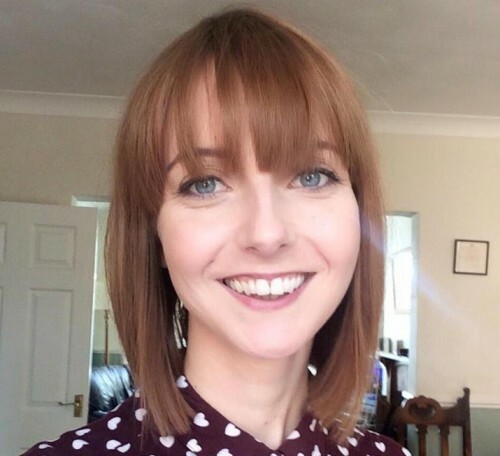 Laura is very frank about her mental health on her blog, and has recently talked about sharing the recovery diary she kept during her last hospital visit. My first question was if she was ever concerned about being so honest? When you put yourself online, you are leaving yourself open to nasty comments and I have experienced these. Also, I was concerned in the beginning about people I knew finding out about my channel. What I soon realised is that I am making these videos to show that mental illness is nothing to be ashamed of, so why should I be ashamed?! This is the reason I try to be so honest and go into so much detail – shame stops so many people from talking openly about such topics, so the information isn’t out there. I feel that this adds to the isolation that so many mental health sufferers feel. What about the reactions to your blog posts, how have they helped your progress? 99% of the reactions I get are positive. I get many private messages from people thanking me, or who are wanting advice/information. I think this has helped my progress somewhat because, when explaining my situation to others, it helps me to gather my own thoughts and think about my situation in an almost objective way. Also, I am one of those people who is not good at taking my own advice; I encourage others to treat themselves with kindness but often fail to do this myself. Making videos for so long has definitely helped me with this and I sometimes watch them back to see what “objective Laura” would say. When you post videos online, you will almost always receive negativity, either from people who disagree with what you are saying or from people who simply aim to be hurtful. Whilst this can be upsetting, you have to remain focussed on the positive feedback. The negative comments and ‘trolls’ have definitely helped me to develop a thicker skin! Ultimately, I could ignore 99 nasty comments if I also had just one saying that I had helped them in some way. How has having the YouTube account helped your situation, maybe by the ‘release’ of telling your story or through the support you’ve received since? My diagnosis, Schizoaffective Disorder, is relatively uncommon and before joining YouTube, I didn’t know anyone who also suffered from this. Making my channel has resulted in me connecting with hundreds of people who are going through a similar thing, providing mutual support and information. How did Coventry University help you with your mental health while you were here? I received amazing support during my studies. When I first arrived, I introduced and familiarised myself to the Health and Wellbeing Department, knowing that it would make seeking support much easier if I were to become unwell. I recommend this to anyone who struggles with mental illness. I did get unwell a couple of times during my studies and the University’s Mental Health Advisor, GPs and lecturers were all fantastic. They helped me with everything and anything, from referrals to finding a local Psychiatrist to organising extensions for deadlines. You can read UnCOVered’s blog with more info about Health and Wellbeing here. It’s hard to think about the future when you’re challenging depression every day, but if it’s possible to answer, what do you hope for your future? Your last hospital stay was far from where you live, because of the lack of beds in local hospitals. Can you explain how this affected your progress and what difference having a local bed would’ve made? I was fortunate to have received amazing care in the facility I have recently been discharged from. It was, however, hundreds of miles from home, meaning my parents had to drive a long way (6.5 hour round trip) to visit me. I have always found support from family and friends to be a massive factor in recovery from mental illness so I feel that this may have hindered my progress a little. How did you feel when you heard you had been nominated for the Mind blogger award? …and how did you feel when you won?! I’m so glad you were able to accept the award in person, what was the event like? Why do you think you won the prize? In all honesty, I still can’t completely comprehend that I actually did win it! A couple of the judges explained why I was chosen and the main reason was that my channel is so honest and raw. I was also told that I speak to the camera as though I were speaking to a close friend and that it was evident that the only reason I made my videos was to try and help other people. Finally, what advice would you give to anyone considering blogging about their experiences, either with mental health or another sensitive subject? Make sure that you are definitely ready to do it and to face what doing it might bring! I debated about starting my channel for about a year before posting my first video because I simply didn’t feel ready to open up as much as I do. If you do feel ready, I say go for it! You can follow Laura’s progress on her YouTube vlog, Instagram and Twitter.